The Empire State Building (or, more appropriately, ESRT Empire State Building, LLC, a legal entity that appears to own the building) filed an application to register WORLD'S MOST FAMOUS BUILDING as a federal trademark on March 7th. This application follows a decision by the Trademark Trial and Appeal Board last year that sustained the ESRT Empire State Building, LLC's opposition to a beer company's use of the Empire State Building in a logo for beer, holding that the beer logo was likely to dilute a design mark owned by ESRT for the outline of the Empire State Building. The TTAB deemed that mark to be famous. 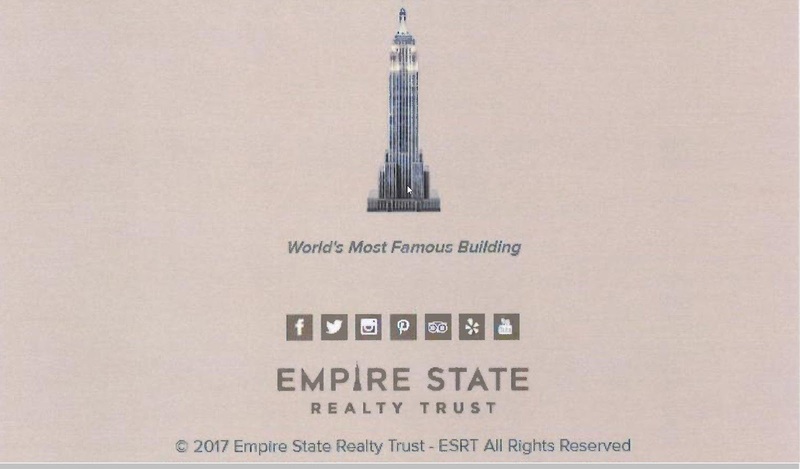 According to my quick search, ESRT Empire State Building, LLC owns 13 active applications or registrations with the Trademark Office, including several for EMPIRE STATE BUILDING, and a registration for THE WORLD'S MOST FAMOUS OFFICE BUILDING covering real estate management and leasing services.